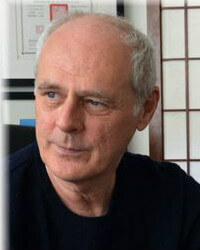 Charles was the former Chairman of The British Acupuncture Council. He is now working on various organisations including the Board of the Register of Chinese Herbal Medicine (UK) and Acupuncture Now Foundation, to raise awareness of the contribution professional TCM can make to healthcare today. Keynote Presentation Title: Truth Decay – are some aspects of the classical tradition no longer right for the modern world? Can we simply translate millennia-old medical textbooks and trust that those ancient truths to apply to our patients today? Are today’s medical facts the same as those from another time and a distant culture? How much of Han dynasty medicine fits the contemporary clinical setting? In what ways do our patients differ from those of ancient China? Is it possible that parts of the traditional clinical discourse quite simply wrong for the modern westerner? Mature scientists accept that their own cherished truths are tentative, simply today’s understanding that will be amended in future – or perhaps even abandoned completely. Some have even sought to quantify his effect, introducing the idea of a decay of truths over time and asking how long does it take for half the accepted truths in a field of study to be shown to be wrong? For hepatology this has been estimated about eight years but for Chinese medicine ancient truths are often felt as sacred and inviolable – our facts are true for ever and ever. Our instinct is to defend them. High-level professionals today value criticality, the ability to cold-bloodedly review the way that our beliefs become established and to accept that these beliefs may change in response to new information. As TCM practitioners we accept the tradition and we experience the power of its truths on a daily basis. Even so, we sometimes find things that don’t quite add up, that some of the things we have learned don’t quite make sense. So in this session Charlie revisits some of the truth decay dilemmas that he has noticed in his work of the last four decades. You may disagree with some, or perhaps even all of the questions raised in this session but, with luck, your criticality score will rise. This session outlines a narrative of the CHM tradition from beginnings to modern times. We focus on key formulas and the way that these represent the thinking of their time. The common thread that connects these is the ancient idea of yin-yang harmonisation (tiao he 调和) and we see how this ideal was achieved in different ways, in different styles and in different formulas. The formulas discussed will be familiar to you but each is framed in a way that contextualises and offers fresh insights into the thinking behind them. This helps our sense of engagement with the historical narrative and provides fresh perspectives on our work in the present day. In this session we examine the case that modern standard Chinese herbal medicine practice often uses a narrower dose range than is appropriate. Appropriateness, yi (宜 ) appears in the historical literature as a key virtue of a good physician and is an issue that applies to all aspects of practice including acupuncture. Referencing the historical fangji literature as well as his clinical experience of prescribing Chinese herbs for westerners over the past 35 years Charles concludes that some patients respond to doses that might be considered ineffectual in modern China, whilst others require doses in excess of the standard bencao recommendations. The wide range of doses seen in the historical literature is explained as being a consequence of differences in conceptualisation of causality between the ancient and modern worlds. In modern times we tend to think in terms of pharmaceutical dose-response curves, in ancient China the relationship between medicinal interventions and patient physiology was understood in terms of resonance between substances possessing related qualities. The more similar things are the more strongly they influence each other, an idea that might seem at first to be esoteric but has some credence in rationality. To illustrate the narrative we will look at a few case histories, reference some historical literature, examine some pharmacology that hints of standard dose response curve anomalies. To conclude Charles offer some ideas on how we might begin to address the challenges of this “secret that is never taught” question in our clinical work.